It’s always funny to see your content translated or mentioned in another language. This time it is special, since even the screenshot (and food) got some localization. 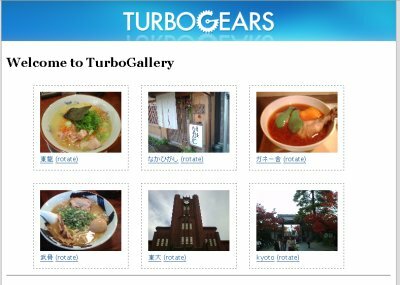 TurboGallery: Making a Flickr Killer in 30 Minutes Flat. Intoduction to TurboGears and Comparison with Other Web Frameworks. This entry was posted in python, turbogears. Bookmark the permalink.